The Department of English offers courses in two programs of study, one in literature written in the English language and the second in English with an emphasis in creative writing. Students may pursue majors and minors in both these areas. An English major develops students’ ability to use language effectively and enhances their critical and analytical skills by making them aware of the social and historical context in which writing, in any of its forms, is produced. English study provides an excellent basis for professional programs in law, journalism, publishing, and business as well as for graduate study in literature, the theater, or creative writing. Students pursuing one of the majors in the department take courses in specified categories described in detail below. There is considerable choice from among the courses that fulfill these requirements, and students should discuss their programs with an adviser in planning a major. English courses also serve as electives for students in other programs. Normally 200-level courses are for first-year and sophomore students; 300-level courses, for sophomores, juniors, and seniors; and 400-level courses for juniors and seniors. There are a few specified prerequisites for individual courses. Non-majoring students considering 400-level English courses as electives, however, should consult catalogue descriptions and may wish to speak with in-structors to determine their readiness for particular courses. Continued study of a foreign language or work in the literature of other languages in translation is particularly recommended as complementary to an English major and is especially important for students interested in further literary studies. Writing is an important component of coursework. The Allen Prizes in English Composition — established in memory ofHattie Boyd Allen — two prizes in English composition. The Jonathan H. Kistler Memorial Curricular Innovation Fund in English — established to support and nurture new curricular and pedagogical ideas within the English department. The Lasher Prize — established as an award to a member of the junior class in recognition of outstanding talent. The Lasher Prize for Distinction in English Composition —awarded for distinction in the various types of writing. The Scott Saunders Prize for Excellence in Literature — established in memory of Scott Saunders ‘89, and awarded annually to a senior major in English who participated in the Colgate London English Study Group, in recognition of work done in London that is distinguished in its own right or which contributed to the completion of a distinguished project. The department does not award Advanced Placement credit. Because transferred courses must conform in content and rigor to Colgate’s curriculum, students intending to take a course in English literature at another institution must meet with the department’s transfer-credit adviser before enrolling in a course at another institution. Transfer credit for an English course taken at another college or university will be granted only by the approval of the department. 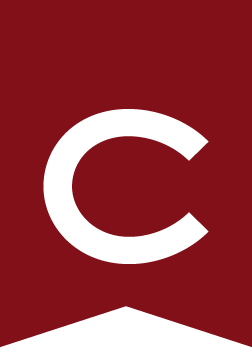 The transfer-credit adviser grants preliminary approval for appropriate courses, which generally must resemble 300- or 400-level courses at Colgate. Upon return to campus, the student brings the course syllabus, all papers written for the course, and a transcript registering its completion to the transfer-credit adviser to receive final approval. No more than two courses (in the case of a minor, one course) may be transferred for major credit. Students may not use a transferred course to fulfill the 400-level seminar requirement of the major. The privilege to work toward honors is granted at the discretion of the faculty. Seniors with an average of 3.5 in ENGL courses are eligible to apply to pursue an honors project. Interested students should begin discussing their projects with potential directors in their junior year. Candidates in literary criticism must enroll in ENGL 489 , a 0.25-credit course offered in the fall semester. In consultation with a member of the faculty, the student selects a topic and submits a formal prospectus, which must be approved by two faculty supervisors, the director of the honors program, and the department as a whole. The deadline for submission of the prospectus normally falls in October, while the deadline for an annotated bibliography normally falls in December. Candidates in creative writing must enroll in ENGL 477 - Advanced Workshop in the fall of their senior year. They should also speak with a creative writing professor(s) in the spring of their junior year. Permission to pursue a creative writing honors the next spring will be granted on the basis of the quality of work in ENGL 477 . Students pursuing an honors project are enrolled in ENGL 490 - Special Studies for Honors Candidates , during the spring term of their senior year. ENGL 490 must be taken in addition to the required 400-level seminar and in addition to the minimum number of courses required for the major. Students must successfully complete the honors seminar and submit a final version of the thesis on a date specified by the department. If the thesis is provisionally approved by the faculty supervisors and the director of the honors program, the student then discusses the project at an oral presentation scheduled during finals week. A student who completes a project judged worthy of honors by the department and maintains at least a 3.5 average in all ENGL courses, including ENGL 490 , is awarded a degree in English with honors. Students are awarded high honors on the basis of the quality of the thesis and the oral presentation. If a student withdraws from the program, or if the thesis is not approved for honors, ENGL 490 is converted to ENGL 491 - Independent Study , and a grade is assigned by the faculty member who supervises the completion of the work. Students with further questions should contact the director of honors in the Department of English. Students interested in graduate study should consult with their advisers and the department chair early in their programs to be advised about preparation for advanced work. The department also designates special advisers to meet with students interested in graduate work, and informational meetings are held to help juniors and seniors plan their applications for fellowships and graduate admission. The Master of Arts in Teaching with a major in English is awarded by Colgate in the program see Graduate Program . Each year, and often twice a year, a group of juniors and seniors spends a term in London studying British literature and theater under the direction of a member of the English department. Preference normally is given to majors or prospective majors who have completed at least three courses toward the requirements for the major. ENGL 290 - London English Study Group Preparation , is a 0.25-credit course limited to participants in the London English Study Group in a subsequent term. The course prepares students for the English course-work to be undertaken in London. For further information, see Off-Campus Study . Students interested in American literature are encouraged to consider participation in the Santa Fe Study Group. When directed by a member of the English department, the program features courses in contemporary Native American literature and contemporary methods of criticism across the arts as well as providing opportunities for students to continue work in creative writing. The study group also involves service learning work at one of the pueblos near Santa Fe. Students interested in Caribbean literature and black Atlantic literature are encouraged to consider participation in the Jamaica study group. When directed by a member of the English department, the program features courses in contemporary Caribbean literature and criticism as well as Jamaican culture.